Tweet Hubby is very much sentimental and traditional. We always have a gateau de roi or galette de roi for the 3 Kings celebration. It's called King Cake in English. The ones in France were superb! 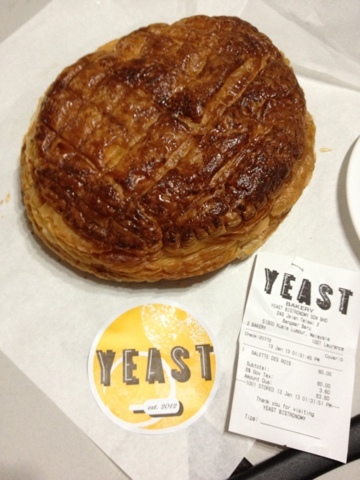 Plus the fun that comes with it... golden crown and the little hidden porcelain statue inside the galette! 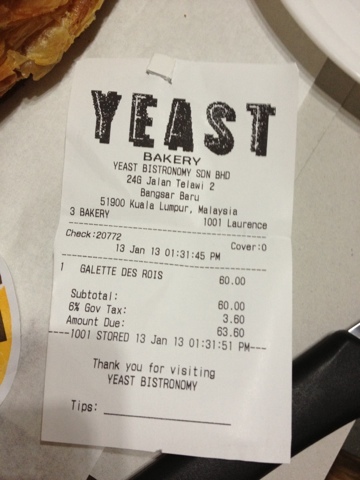 While we are here in KL, so far we have been ordering it from The Bakery at Hartamas. 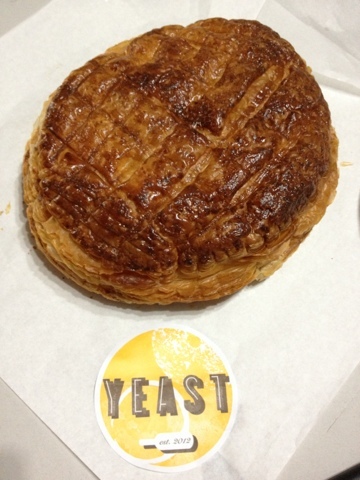 This year we had a new choice and bought from Yeast. Conclusion: yummy and really flaky. However I find a bit too oily, and hubby suspect it is bec of the weather in Malaysia. Humidity and heat is making the oils come out as opposed to the cool weather in France. Still happy we have a new choice in town. If you know anywhere else to buy do let me know! Will try it next year! Hi there! Have you tried Tedboy Bakery in Bangsar? Let me know what you think of it. They serve honest bread and good coffee too!